Are you searching for affordable labels to package CBD products? Because Hart Mind Soul and the HMS nation have been printing stickers for over twenty years, we know a thing or two about quality labels. Ask about specialty foils and holographic label options on our company website. You will find that our high quality, custom labels are perfect for packaging cosmetics, CBD products or anything else you may need a sticker for. In addition to offering single cut and perforated stickers, we also offer stickers complete on rolls to make the application process easier. If you have a labeling machine and need custom labels for your CBD or cosmetic products, contact the HMS nation. Furthermore, because all of our products are backed by our 100% satisfaction guarantee, you can rest at ease after placing your custom label order. If you would like to see examples of some of our custom labels, simply click on the video above. 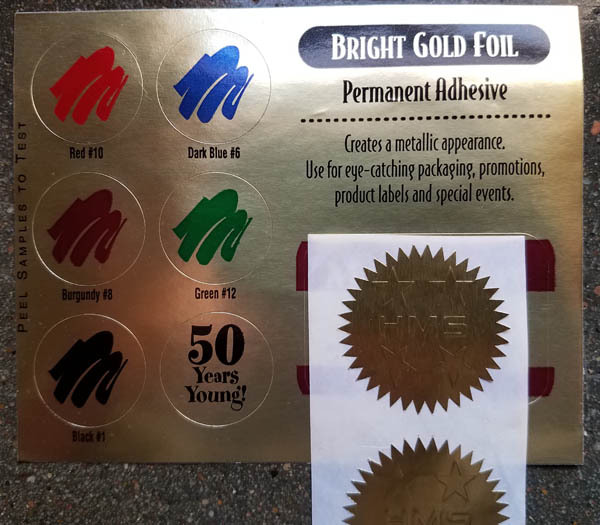 You will find that our selection of gold and silver foils along with iridescent holofoils are perfect for almost any packaging project. Do you still want to do more research on custom printed labels? You can click here to read a few of our Five Star reviews for custom screen printed and embossed labels. Finally, a reliable vendor who sells custom printed labels and stickers specifically made for CBD products. You can make your packaging look professional with custom labels from Hart Mind Soul. If you want a FREE quote, simply contact us online from any mobile friendly device. Because our offices are always open, you can contact us 24 hours a day. Go ahead and request an estimate for custom printed labels. Your packaging will look the best it ever has and we can even add a bar code for retail customers. affordable CBD packaging labels near me, Buy Labels For CBD Packaging, CBD packaging labels for sale, custom labels for CBD packaging, Quality Packaging Lables for CBD. Bookmark.